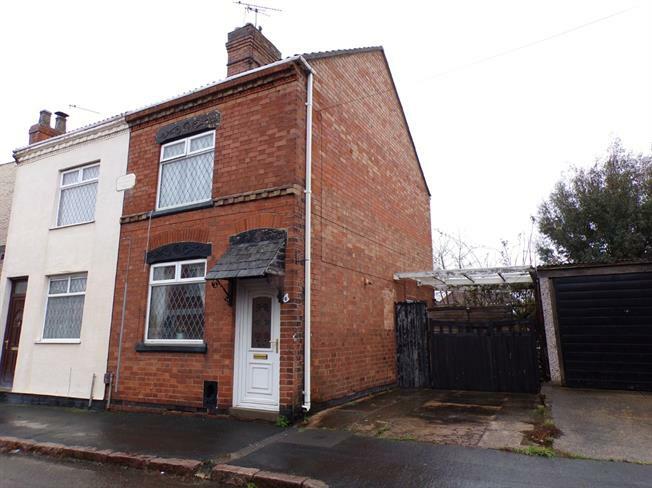 2 Bedroom End of Terrace House For Sale in Leicester for Offers Over £150,000. A two bedroom end terrace property which sits on a generous size plot and has accommodation comprising, lounge, dining room, kitchen and lean to. On the first floor are two bedrooms and bathroom. Outside the property has a driveway to the side and garden to the rear. The house requires some updating and is being sold with no upward chain. This fantastic property would make an ideal first time buy.